I collect ideas for stories, essays, and poems in my notebooks in much the same way that young kids stash curiosities and beautiful (to the beholder) objects in their pockets. Entries are like snapshots of moments I don't want to forget—perhaps literally images but also dialogue, questions, observations, character sketches. I found the below 1910 postcard in an antique store and couldn't stop daydreaming about what it meant: Dear Father, I am very anxious to locate you and mother. Please write at once if you get this. I am not sure about the address. Your loving daughter. A daughter anxious to locate her parents, her father a Reverend...why are they separated and the parents' whereabouts unknown? Stories and essays cook inside my notebooks, too. I brainstorm, recall memories, attempt to answer questions. I create early drafts, dig deeper into topics after I get feedback from peers, and experiment with revisions. I created the story board below after I'd written several times in my notebooks about playing baseball with my brother and sister as kids. My earlier entries were mostly fast writes about my memories of these frequent games, not a specific time/event but a conglomeration of dozens of them. I knew that I'd need to write a more specific scene if I wanted to include this material in my memoir, so I borrowed a strategy I learned from a screenwriter friend. I imagined what an audience might see if watching our typical game on screen. This helped me distill what was important in all those memories into a single scene. Often my prep for teaching leads to an Aha! moment in my writing. Planning for a typical show-don't-tell lesson for a class, I decided to revise a story about the first time after my brother died that a stranger asked me how many brothers and sisters I had. I didn't know how to answer at the time, and a flood of emotions came rolling in, even as I tried desperately to hide them. I knew from peer feedback that readers were struggling to understand what I felt, but I didn't want to just tell them. So I brainstormed all the sights, sounds, and smells of a hair salon, then identified a handful that were unpleasant and layered them into my story so readers now feel the mild discomforts escalating to real pain as they re-experience that moment with me. Notebook as Friend, Cheerleader Writing is sometimes emotionally draining for me. So I try to incorporate positive feedback from others into my notebooks whenever possible—love letters to my writerly self, in a sense. Everyone in my writing group wrote a few words privately to me as part of their facilitated response to a large piece of writing I shared. These are good to re-read when I feel discouraged. Spend two weeks gathering ideas in your notebook by paying close attention to your daily life. Listen for funny or interesting lines of dialogue, record the questions that pop to mind, or note the images you don't want to forget. Then, set a "story board appointment" for a few weeks later—I mean literally write it on your calendar so you remember and set aside the time to do it. On that day, thumb through your notebook and find something to story board. It can be something you noticed during your two weeks or something else, even something from a very old notebook. 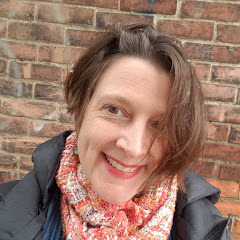 Julie Patterson is an adjunct professor of English at Indiana University Purdue University Indianapolis and writer-in-residence for the Indiana Partnership for Young Writers. Visit her at her website or on Twitter at @julie_patter. 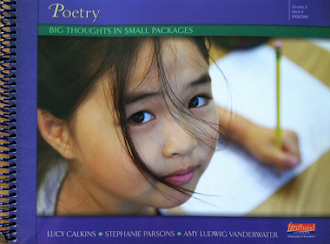 Julie has generously offered to give away a copy of one of her favorite anthologies of student writing - LISTENING STILL - published by the Indiana Partnership for Young Writers. 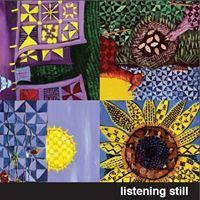 LISTENING STILL is the sixth anthology of writing by students in grades K-8 collected by the Indiana Partnership for Young Writers and co-edited by Julie Patterson. 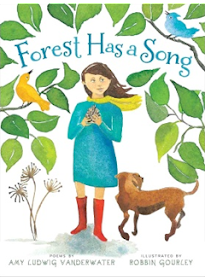 The book showcases work in a variety of genres, including many texts where authors intentionally break conventions to challenge assumptions about what's normal, right, or good. Each chapter features complementary artwork by Michele Wood, Coretta Scott King Award-winning illustrator of I SEE THE RHYTHM. Please comment by January 1 to be entered into this giveaway! I love seeing the sharing of the various ways your notebook captures your life, and your writing life, especially figuring out that you need to write about those tender emotions about your brother. Notebooks are treasures and teachers who help students realize this is a gift to them more than an assignment. Thanks Amy and Julie. I'm inspired to try storyboarding! I don't think I've ever used that strategy for planning/visualizing a piece of writing! This line lit up my heart like a bottle rocket: My notebook is evidence that I have lived and thought about things. I had a conversation just the other day with my (grown) stepson about all the different notebooks and journals I have. He said he only uses notebooks with perforated paper to jot down what he needs to remember or think about, then when he is done, he tears it out. It's too distracting for him to keep those thoughts around. I'm just the opposite, and your quote, Julie, distilled all of my ponderings into one sentence! Thank you! I need to be a better notebook keeper, not only for myself but also for the students I teach. I love the idea of setting a date on the calendar to sit with all your ideas from 2 weeks of gathering. This feels doable. Thanks for sharing the intimate moments between you and your notebook. Notebook as collection bin is an amazing metaphor for what we are trying to accomplish in our third grade classroom! This year, we made a pact to make the notebook a judgement free place to play, experiment and try out new things. We’ve actually tried some of the ideas you mentioned in your post with fantastic results! Students are starting to use their notebooks the way real writers do, and it’s helping them build writerly identities. Thanks for the great post!! 'What comes after the stars, Daddy?" Wow. Appreciations to Julie (& you Amy) for opening pages to these moments. like shown here, natural & with the wobble or squirt line. 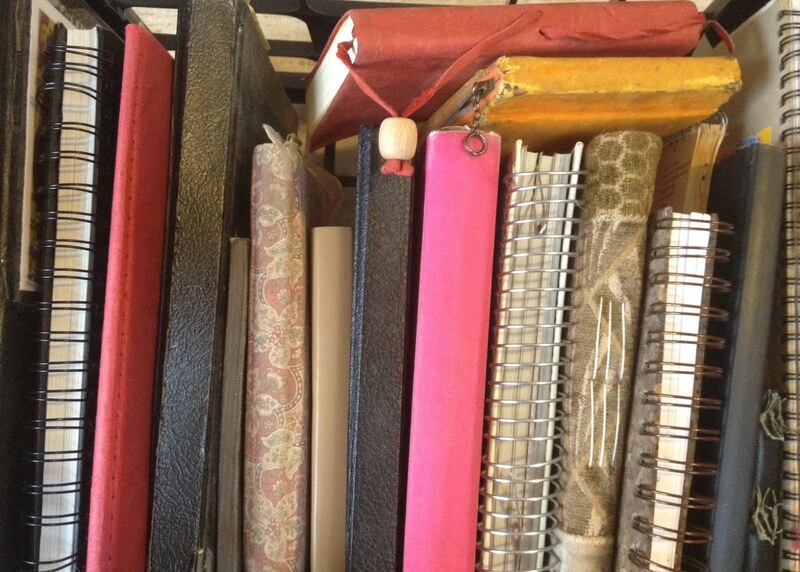 This post inspires me to be a more diligent notebook-keeper. Great post! I love the idea making a storyboard appointment to go through my notebook. Thanks for the suggestion. Love this post. I plan to show my students how you created a story board after rereading your notebook.